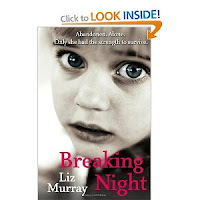 Liz Murray – Breaking Night, part 2. Back in January last year, I promised I’d review this book. At last, here it is. 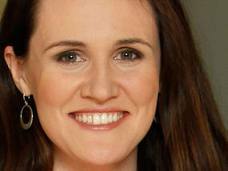 Liz Murray is a young, American woman with a Harvard education, and a career as a motivational speaker. ‘Twas not always so; ‘born to a drug addicted father who was in and out of prison, and an equally dependent mother who was in and out of mental institutions, she seemed destined to become just another tragic statistic,’ (from the jacket flap). This book is her story. It is very well written; gripping and compelling (perhaps a little longer than it needed to be, but that’s just a quibble). I’m pleased to say that there is very little bad language in it, even when quoting friends from life at its worst. There’s no salacious scenes at all – just some hints about what was going on. It is refreshing to find someone not glorying in dirt and evil. It’s refreshing too to read someone determined to take responsibility. She sees clearly that, however dark our situation, we are responsible for how we react to it – the need to make ‘empowering choices.’ (As I remember, she only lapses once from this, when she says that the addiction of her parents was ‘not their fault’ when it is plain that they had made wrong choices again and again when they had had no need to do so. But you can forgive a daughter that unconditional love for her parents, surely!) What I particularly love is that Liz does love her parents, and cherishes their memory – even though it seems to me, an outside reader, that there was very little to love and cherish. So, young Liz found herself sleeping rough often, increasingly dependent on friends who would house her for a night, or nights – and increasingly fearful of the day of the day that it would stop. Getting to know a girl called Paige was a turning point. Paige had been a runaway, but now held down a job, had her own apartment – and pointed Liz to the way out. After several rejections, Liz enrolled at an ‘alternative high school’ in New York City – a school for anyone who was motivated, with or without money. There the hard work began, and the climb our of dependence. What’s interesting about this video clip is the similarity – and difference – to Biblical holiness. Liz emphasises that it’s not a once-for-all decision, and neither is holiness. She emphasises that there are lots of pressures to hold us back – as there are with holiness. She knows and declares powerfully that consistent movement in the same direction inevitably leads to real progress – as with holiness. She is realistic about the temptations from well-meaning friends to be less committed – as with holiness. The two big differences, of course: our goal is not our own prosperity, but pleasing him. And we have, within, the Holy Spirit, driving us ever on and empowering us to make empowering changes. 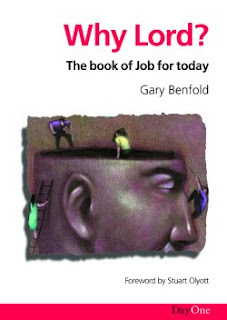 An excellent book – and I commend it. Hilary was a young woman we saw converted in Aylesbury. She hadn't expected to be converted - she came to church to try and make a bargain with God, but he did exceeding abundantly above all she asked or imagined. A few weeks later she came to see me. She'd been reading in 1 Corinthians that a woman should not pray with her head uncovered (11:3). She explained that, since she was the only Christian in her house, she did most of her praying in the bath. Did God want her to get out and get a hat first, she asked? She was serious - she just wanted to please him. Though still very young, she died suddenly a year or two ago. She never lost that joy in the Lord that made her want to please him in smallest details. She never lost that willingness to understand - and then obey - the Bible. God give us more converts like Hilary. The power of his... death! [Some] teachers tell us that we must live in the light of the resurrection. All God's power is being made available to us and we need to appropriate resurrection power. But in the New Testament it is the cross, rather than the resurrection, that is the model for Christian living. Jesus said that if we were not prepared to take up our cross daily, we could not be his disciples )Luke 9:23). The cross speaks of death, not resurrection power. Paul writes like that about his own life and ministry: we always carry around in our bodies the death of Jesus, he says (2 Corinthians 4:10). When he goes on to speak of the life of Jesus being revealed, he says 'death is working in us but life in you.' Again, he says of himself 'even to the present hour we both hunger and thirst and we are poorly clothed' (1 Corinthians 4:11). The evidence of resurrection power in the life of the believer, according to Paul in Philippians, is that we share in his sufferings (Philippians 3:10). Perhaps I may illustrate from my own life in a way that every Christian should understand. There have been two major miracles in my life: the first is the one that plucked me from sin and washed my clean, took me out of the Kingdom of darkness and placed me in the kingdom of God's own dear So. the second miracle is the one that has kept me, and keeps on keeping me, there! For the Christian life is not always easy, and my own flesh reacts against its discipline; and yet, by grace, here I am. And you too; if you are a Christian, you have known the same two miracles. There is, of course, more to come. But it is 'not yet'. There are things which we cannot have now not because we do not have enough faith, but because God reserves them for the life to come. Labels: Job, suffering, Why Lord?